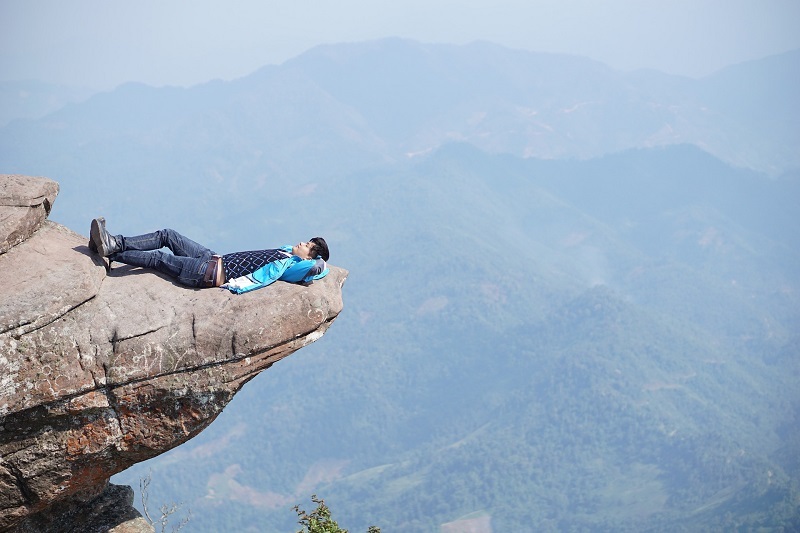 Moc Chau Plateau - An impressive destination in the Northwest Vietnam. 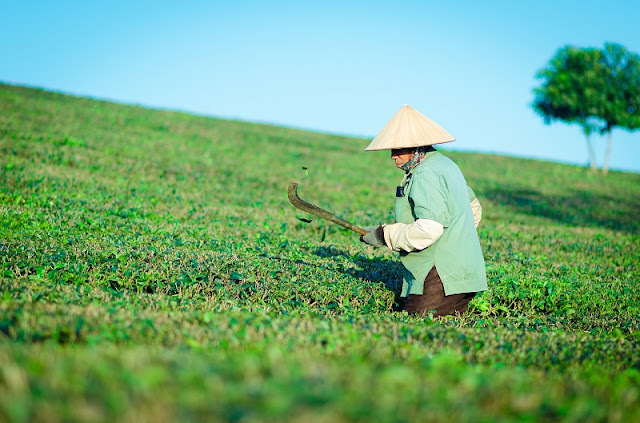 Located at altitude of over 1.000 m, about 200km to the west of Hanoi capital, Moc Chau plateau in Moc Chau District, Son La Province is an ideal destination in the journey of exploring the Northwest region thanks to its cool and fresh atmosphere, endless green tea hills, gardens of fruits and various flowers, etc. Especially, Here is also one of the homes to ethnic minorities in Northwest Vietnam, where you will have chance to experience the indigenous cultures with the unique traditional customs in the daily life of local residents. The pine forest in Dong Sang Commune, located next to a large lake, pine forests become more poetic, shimmering on the moonlit night. Loong Luong of Van Ho district. 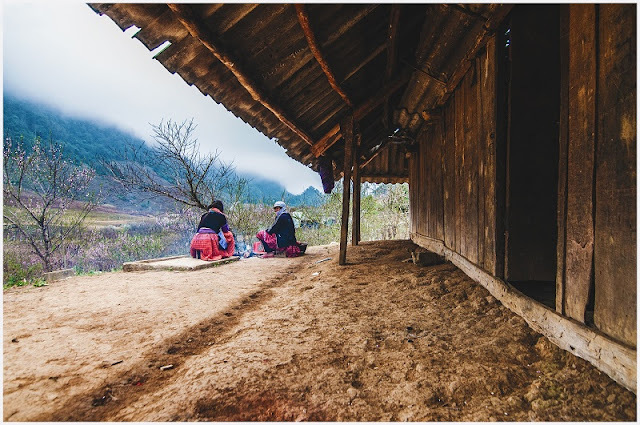 As a highland village of the Hmong ethnic group, if you want to see the peaceful life of the people here, this place is for you. 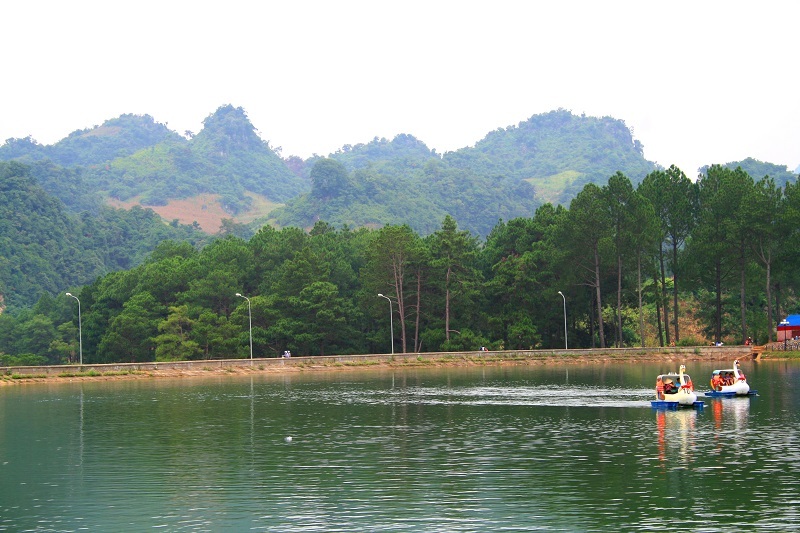 Pa Phach belongs to Dong Sang Commune, located to the west of Moc Chau. From the beginning of the entrance, you will see the field of white flowers blossom blooming in the end of the year. Laos market in Long Sap near the border station about 30 minutes walk. Holidays as well as ordinary days here are busy people. Pha Luong is 30 km from Moc Chau, between Vietnam and Laos border. conquering the place will give you the experience of fun and also extremely beautiful photos. The tea hills in Tan Lap 1 and 2 are also known as the heart tea hill to its unique shape, due to the beautiful terrain available so it is not difficult to create extreme images here. This road is located near Loong Luong commune in Van Ho district. went to Moc Chau, you can not miss this enchanting road. The Dai Yem waterfall, also called "Nang" waterfall or "Ban Vat" waterfall, is located in Muong Sang commune, Moc Chau district. Dai Yem waterfall is a historical landscape, which is closely related to the history of Thai people in Muon Sang land a long time ago. The name Dai Yem is derived from a story about the brassiere of the girl who saved a boy from the flood. Strawberriess have been planted in Moc Chau since 2013 with many different varieties such as USA, Japan, Korea or New Zealand. So far, the strawberry farm in Moc Chau have achieved certain success with American and Japanese strawberry varieties.